Wills, Probate and Estates specialist. We can give you straightforward, expert advice on Probate in Ontario. For those with a Last Will and Testament (testate succession), and those without a Last Will and Testament (intestate succession), we can help. We are a team of professionals that bring decades of experience to bear at the most trying of times. 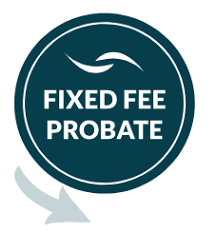 Ask us about the Fixed Fee Probate option. We provide clear and unambiguous advice. At a difficult and painful time we offer assistance and guide our clients through what can be complicated and sensitive issues. Our goal is to provide great service at a fair price which is made clear and transparent to our clients. Our services range from taking out the probate (the Trustee appointment) only, to full Estate Administration. We offer (through Santos Law Firm PC) Probate and Estate service options that meet every need.